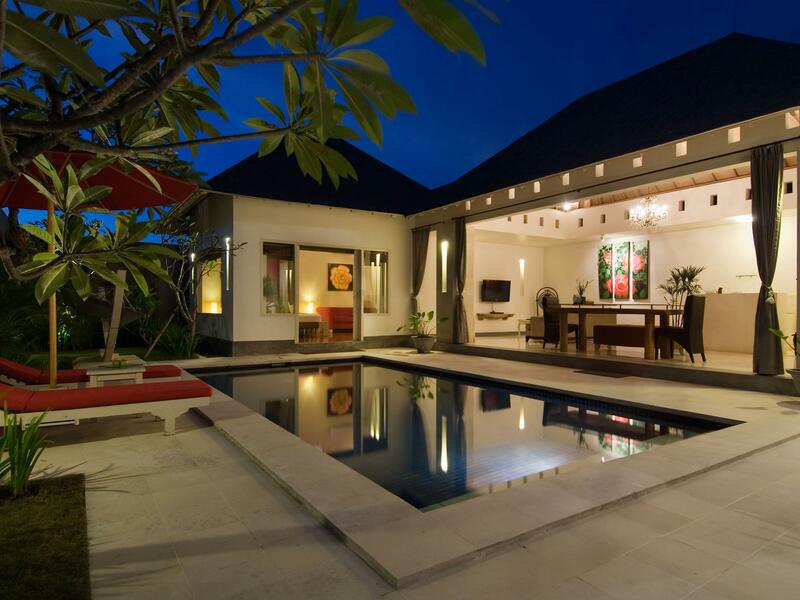 Discover all that Bali has to offer with Kamuela Villas Seminyak Hotel as a base. Enter your dates to see if your stay qualifies for extra savings. We want you to pay the lowest possible rate for your room. within 48 hours of booking your room with us, we will either match that rate or beat it. 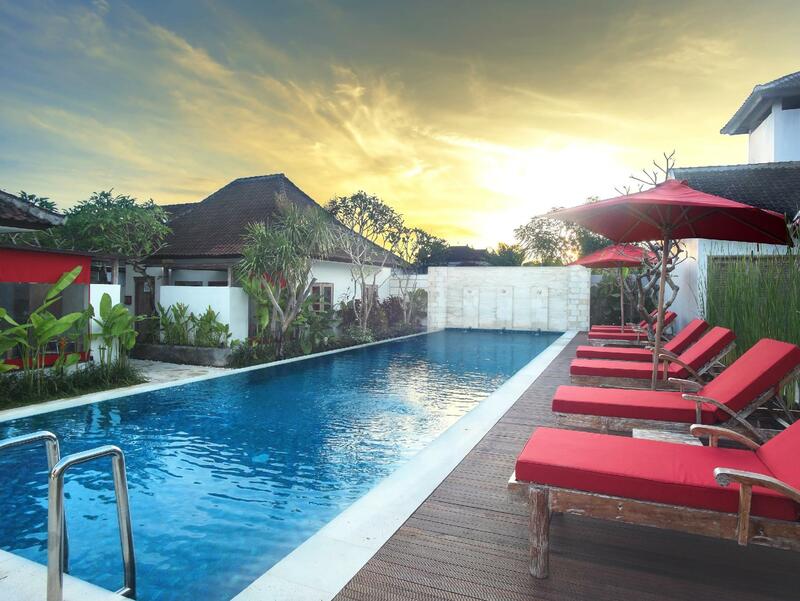 Discover all that Bali has to offer with Kamuela Villas Seminyak Hotel as a base. The hotel has a total of 13 well-appointed rooms designed with the guests' comfort in mind. All of the guestrooms are replete with non smoking rooms, air conditioning, bathrobes, daily newspaper, inhouse movies, desk. 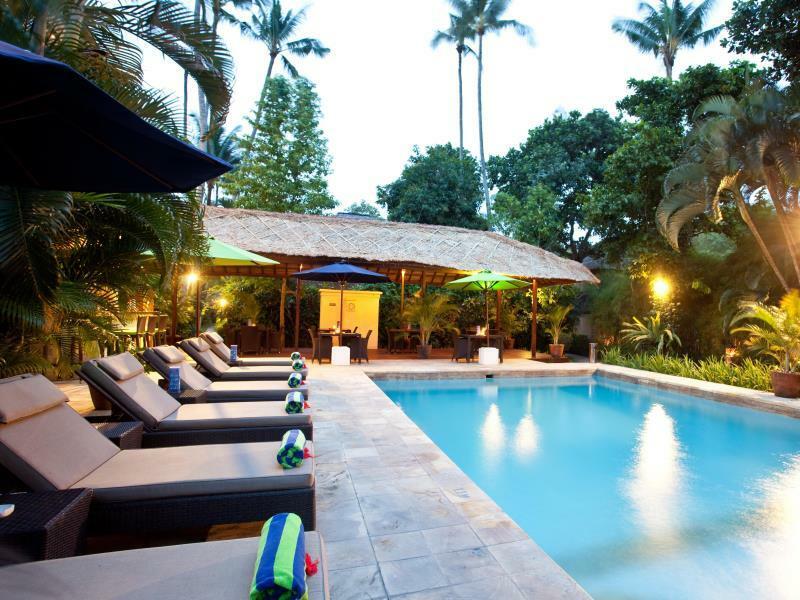 The basic amenities provided at this Bali accommodation comprise 24hr room service, laundry service/dry cleaning, room service, safety deposit boxes, hotel/airport transfer, babysitting, bicycle rental, valet parking. For guests to unwind, the hotel offers a variety of facilities and services including massage, spa, outdoor pool. The hotel provides a warm and welcoming service of international standard. For your reservation at the Kamuela Villas Seminyak Hotel Bali, please enter your preferred visit dates and follow our secure online booking form. All material herein © 2007 - V1 - 2019, PanduanWisata.com, Ltd. All Right Reserved.